We just finished the 1st quarter for 2011, and I’m looking ahead for what’s ahead in the markets. The Dow rose 6.7% this quarter, making it the best Q1 since 1999. That's an impressive gain given the uncertainty of the war in the Middle East, economic slowdown in Japan, and the threat of higher interest rates when QE2 ends in June. What is a conservative investor to do after such a move? Pull out of equities and sit in cash for a while? Maybe, if you don't mind creating a tax event for your unrealized gains and making zero interest return in a savings account. But another choice is to protect your portfolio by using covered calls, where you sell call options against stocks you own. The benefits of covered calls are that you lower your risk and generate monthly income. The downsides are that you still have equity exposure and you're putting a cap on future upside, though less so as each call contract essentially lowers your initial position. I've been doing covered calls for over 25 years and have had amazing success with the strategy. It’s fairly conservative, and can simulate the effect of paying you a monthly dividend. There are a variety of resources out there to educate and find opportunities, but one site I like for is Born To Sell. It’s got many unique screening features to explore 150,000 covered call possibilities, as well as crowd-sourcing feature where you can see what strategies other members are doing (social investing?!). Finally, investing these days is tough, whatever you do, tread lightly. That said, I wanted to share what I’ve done for decades through a lot of uncertain markets, with relative safety and over time quite profitably. Brian Solis recently interviewed me for his web show REVOLUTION, and I'm happy to share here now as we cover a lot of ground about blogging and social media. In our talk, he asked me a lot about the State of the Blogosphere - not just the 2010 edition but also the trends we've observed over the past several editions as well. We also went beyond blogging and to the latest trends in social media in general. BTW, the video here is super high quality, high def - good enough to watch on your 60 inch flat screen via Apple TV etc. 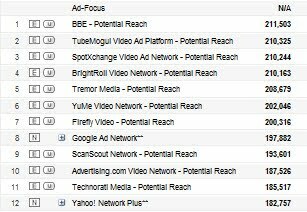 Our ads just keep reaching larger audiences, month after month. 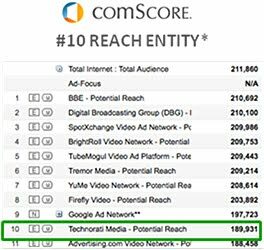 In December, comScore ranked the Technorati Media audience network as the 10th largest reach entity (for perspective, our ads were seen by over 420 million consumers worldwide and 190 million in the US). comScore also ranked our network of social media sites as the 4th largest conversational property and 25th largest internet property overall.